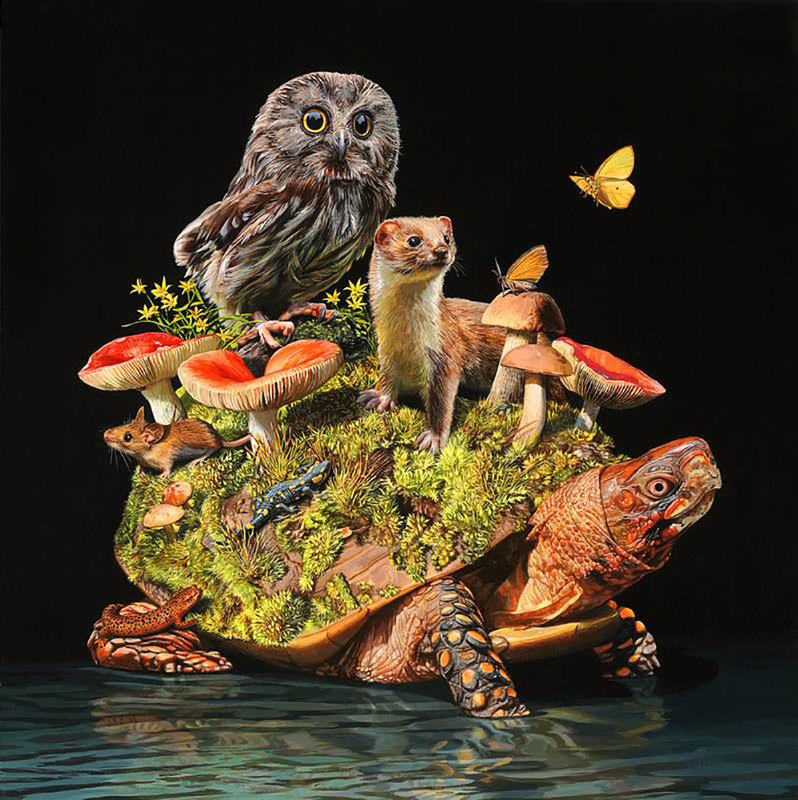 New work from Lisa Ericson (previously) continues the Portland-based artist’s hyperrealistic compositions of animals. Set on deep black backgrounds, her paintings showcase unusual combinations of peacefully co-existing fauna. Pelicans support rabbits, snakes, and ocelots, while tree frogs and songbirds find homes on the shells of turtles. Her most recent paintings are on view through May 25 at Antler Gallery in Portland, in a show titled Invisible Promise, alongside work from Scottish artist Lindsey Carr. You can see more from Ericson on Instagram. All photographs by Moreno Monti and Matteo Tranchellini, courtesy of the artists.